Many scholars, in their defense of the abrogation doctrine, have written justifications for it to make it look good. By showing that the abrogation doctrine is a blessing, or an expression of God's unopposed power, I guess they thought they could impress the point on the reader to accept a doctrine that cannot be proven. I'll comment further on this later, but I want first to mention some of those writings. "God has created all creatures according to His prior knowledge of what He wanted out of creating them and out of them. There is no second guessing of His judgment. He is quick in His accounting. And He sent down the Book explaining everything and as guidance and mercy, and decreed in it duties that He fixed, and others that He abrogated, as a mercy to His creation, by easing things on them and leaving them some room, adding to what He initially had given them of blessings, and rewarded them for observing the rules He fixed on them with His paradise and escape from His torment. Thus His mercy has surrounded them in what He fixed and what He abrogated. Praise Him for His blessings." Thus, Ash-Shaafi`i thought that abrogation is an easing, and therefore a mercy. The problem with this rationale is that before the easing, the abrogated ruling must have been hard. But that violates God's principle, "God wants for you ease; He does not want for you hardship" (2:185). If abrogation is true, then it follows that the initial ruling was not something that God wanted. How can that be? God replaced verses with other verses and rulings for other rulings for a divine wisdom that made it necessary. Even if we do not comprehend that wisdom because of our limited understanding. He knows best what He sends down. He is gentle with His worshipers and knows best their situations, so He knew from the start when and why He would abrogate His verses. The meaning of 16:101-102, and God knows better what He meant by them, is that God replaces verses for a profound wisdom, like steadying the believers, guiding them to the truth and giving them the good news of Paradise. That also implies that the opposite will be for their enemies: abrogation will be misguidance to them and warning of painful torment. That has nothing to do with the abrogation doctrine, which asserts that the abrogated verses remain in the Quran. If our minds are so insufficient, then why does God repeatedly in the Quran require us to use them? And if our minds cannot grasp the wisdom of abrogation then how can they determine what verses have been abrogated, and by what, without revelation from God nor authentic statements from His messenger? Of the wisdom of abrogation we also learn that it is a proof that the Quran came down from God and not authored by Muhammad (PBUH), because if it were, he would not have forbade what he allowed or allowed what he forbade. Isn't that reversed logic? Besides, it is the consensus of the scholars, and I agree, that abrogation did occur in the Sunna, so the Prophet, peace be upon him, did reverse his rulings. Of the wisdom of abrogation also is evidence of the power of God and the renewal of His rulings so that they fit with each time and people. Just like a baby goes through changes that suit him until he matures, so did the scriptures until when humanity matured came the Quran and Islam fitting every people and every age. Doesn't the last statement necessarily refute the abrogation doctrine? The Quran is indeed for all people and times, so it follows that it contains nothing that is changeable, but the pro-abrogation folk insist that it does. The abrogating and abrogated are of the greatest secrets and most delightful lights upon the Children of Adam. Even, they are the secret of refinement and the vehicle of modern happiness. I couldn't help but notice the remarkable echo, almost word for word, between this write-up and what the Christians have been writing about the Trinity! Isn't it amazing that when one tries to explain a doctrine that cannot be proven, one appeals to some mysterious grandiose wisdom? God, may He be sanctified and exalted, knew that humans are a weak sort, fond of imitating others, won't budge from it except with strong factors. I say that describes the pro-abrogation crowd to a tee. The rest of Gohari's writing is about accommodating the ever-changing nature of people and places, hence the need for abrogation. Doesn't that mean that the Quran cannot be final and thus should have been abrogated hundreds of times in the past 1400 years alone? The Quran is final and is for all people and all times precisely because its verses are محكمات (definitive). If it contained abrogated verses, and it doesn't tells us which verses are abrogated, then it cannot be used for guidance. God forbid! Suiting the needs of people by ruling what is more beneficial to their circumstances. Evolution of legislation until it reaches perfection. Testing the gratitude of believers when the abrogation is to something lighter. Testing the endurance of believers when the abrogation is to something harder. And the preceding verses make it clear that God told them they will do it again and He will punish them again. The second point is the definition of البداء (favoring a new idea). The Jews were wickedly wrong in their charge: abrogation could mean change of mind because of favoring a new idea, but naskh is not the same thing as abrogation. The last two points sound noble and reasonable. The abrogation claims most often quoted where the third point is regarded as the wisdom behind them are "the big three", 8:66/8:65, 73:20/73:1-4 and 58:13/58:12. Please read the discussions of those topics to see why this rationale does not actually apply to any of them. As for the fourth point, one example often quoted is the punishment for adultery. See the discussion of 24:2/4:15-16 for details on why this rationale does not actually apply to it. Abrogation of ruling but not of recitation: the wisdom is to get the reward of recitation. If that's true then why were any verses abrogated in recitation at all? And how can average Muslims know that despite the explicit command in a verse, they are not actually supposed to comply with it?! Not even the scholars have agreed on that. Abrogation of recitation but not in ruling: the wisdom is to test compliance of Muslims. If that were true then how can average Muslims know the ruling is authentic? And why were selective verses abrogated? What's special about them? Scholars who did study the reports making that claim have cast serious doubt on their authenticity. Al-Ghaali, in his book بالحجة والبرهان لا نسخ في القرآن, pages 22-23, mentioned another reason given particularly about the claimed abrogation of a stoning verse: To shield the believers from hearing the harshness of the punishment. Al-Ghaali quickly refutes this by observing that the Hiraaba verse, 5:33, specified a harsher punishment. Good call. Anyway, this is not a concern for this project which focuses only on the previous type: the doctrine that claims that some verses of the Quran are not to be followed. Can you believe that many scholars actually believed that? 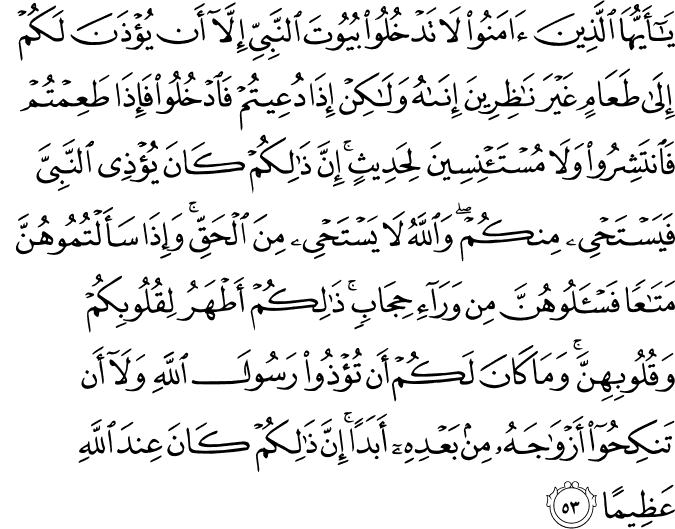 Qataada and An-Nahhaas said that 4:15 was abrogated by 4:16, which itself was abrogated by 24:2. Bearing in mind that many scholars have additionally said that the stoning "verse" or "stoning practice" by the Prophet (PBUH) abrogated 24:2! So, now you have a picture of a law giver who first ruled that adulterers be locked up, then changed that to being disciplined, then changed that to being flogged then changed that to being stoned to death. What was the wisdom for so many changes in less than ten years? Or is it more likely that He specified one ruling only and has never changed it: flogging? Which do you think is more like what God would do? Would specifying the flogging penalty at first have been unwise? One legitimate question may be asked here: Before revealing 24:2, what was the penalty for adultery? If we go for the abrogation narrative, we may conclude that the penalty kept getting harder, from confinement to discipline to torment to death. Is that the perceived wisdom: graduation from leniency to toughness? So, what was the penalty? If there is evidence that the Prophet (PBUH) applied 4:15-16 initially, then the pro-abrogation folk may have a point. But I'm not aware of such evidence. And, by the same token, the question could be asked: What was the penalty for adultery before 4:15-16 were revealed? IMHO, there was no formal penalty until Muslims became a functioning society governed by law, which is when Chapters 4 and 24, among others, were revealed. The question can be asked about any penalty specified in Islamic law: what was the penalty before it and was it God who ordered it? I don't think that it can be shown that God ordered any penalty against Muslim offenders before He revealed the penalty verses. Haani Taahir, in his book تنزيه آي القرآن عن النسخ والنقصان, pages 156-160, discusses what pro-abrogation scholars postulated was the wisdom behind the abrogation doctrine. Reciting the verse earns a reward and is regarded as worship, so keeping it is a blessing for believers. Abrogation is mostly for lightening a load encumbered by the abrogated verse. Keeping the verse, therefore, is reminder of God's graciousness in lifting the encumbrance. Taahir answers the first point by pointing out that verses have been claimed abrogated in recitation too. How come? Wouldn't those too earn their reciters a reward? He answers the second point by noting that the pro-abrogation folk have claimed that 4:43 was abrogated by something harder. Then he moves on to the claimed wisdom of abrogating a verse in recitation but not in ruling. He quotes Az-Zurqaani offering this explanation: The abrogation of the stoning verse was because of the ugliness of its subject, so it was left out as an unmentionable. Taahir also asks Az-Zurqaani why he thought that adultery by old men and women was particularly ugly. Is adultery less ugly if it's committed by young people? He notes that Az-Zurqaani must have confused the age aspect of the claimed verse with the marriage aspect of the stoning ruling. 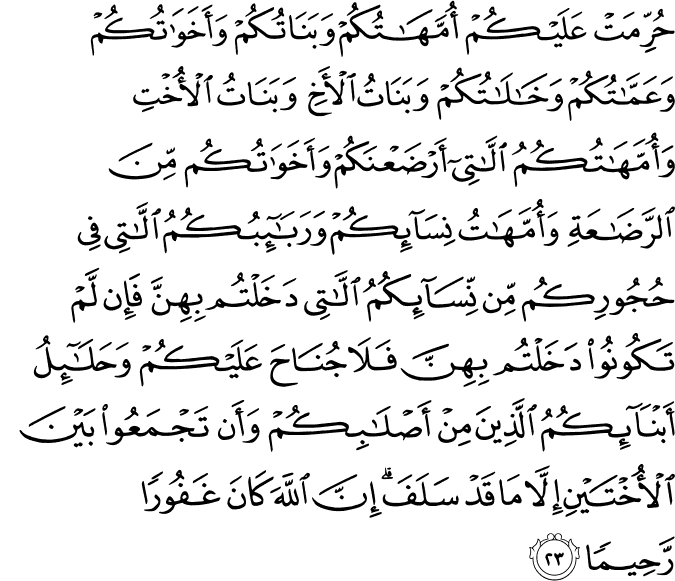 Taahir then gives As-Suytooti's reasoning: Sparing Muslims from reading and hearing horrible details. He was referring as well to the stoning "verse". Taahir quickly replies that the Hiraaba verse, 5:34, contains horrible details, yet it remained. I'd add that if sparing Muslims horrible details was a legitimate cause, then what may explain God's command that a group of Muslims must watch the flogging of adulterers (24:2)? I'd add that if sparing Muslims horrible details was a legitimate cause, then what may explain God's command that a group of Muslims must watch the flogging of adulterers (24:2)? Excellent point. The idea is to create a deterrent. Hearing or seeing horrible details is a mercy in that case, since it may deter a person from committing the crime which, if committed, would entail living the horrible details rather than just hearing or seeing them. BTW, thanks for the post which is spot on.